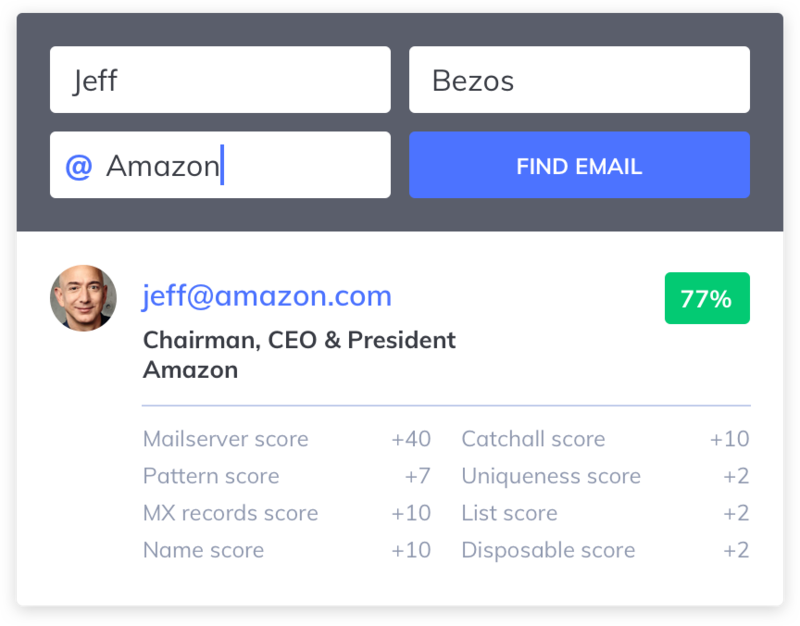 Search for verified contact details by name, job role, company and location to generate new leads whenever you need them. I recommend FindEmails.com to any sales and marketing organization looking to enhance their contact data. FindEmails.com is a must-have for any bussiness development or sales person's arsenal. It helps me connect with the people I'm trying to reach. I highly recommend it!. FindEmails.com has changed the game for our outreach. It's truly an amazing and essential tool that should be a part any modern sales and marketing stack. Find email addresses for leads searching by name and the company they work for. Available in bulk, via Chrome Extension and our developer-friendly API. 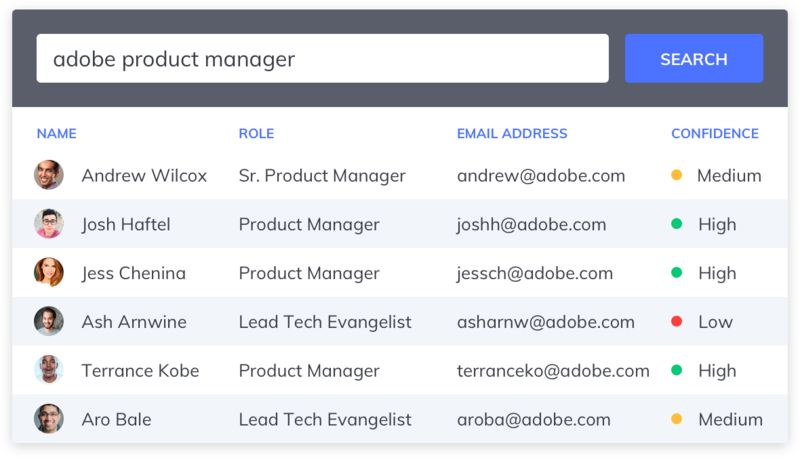 Targeted lead and account lists at your fingertips. Search by company, job role and company to get fresh targeted leads in a matter of minutes. Get in touch with decision-makers and generate qualified leads whenever you need them. Build links, land guest post gigs, establish relations with authors and create buzz around your content. 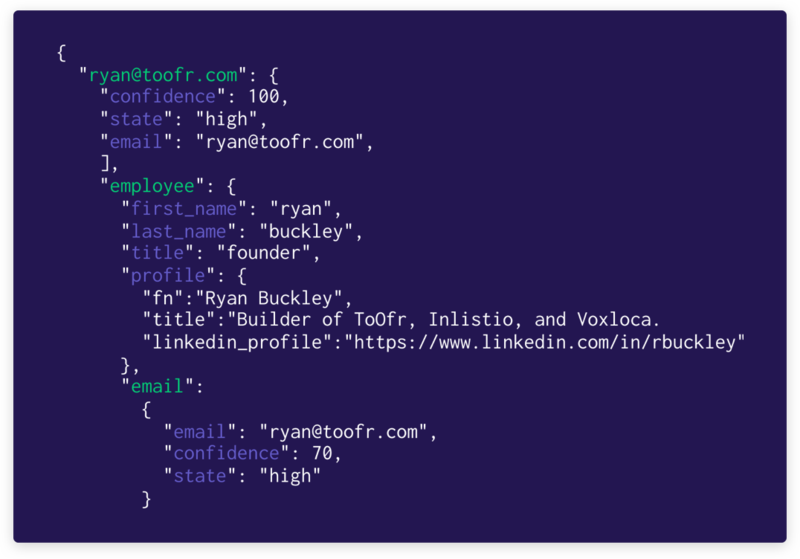 Teams can use our API to track down business emails and extract prospects from webpages and our database from within processes and applications. 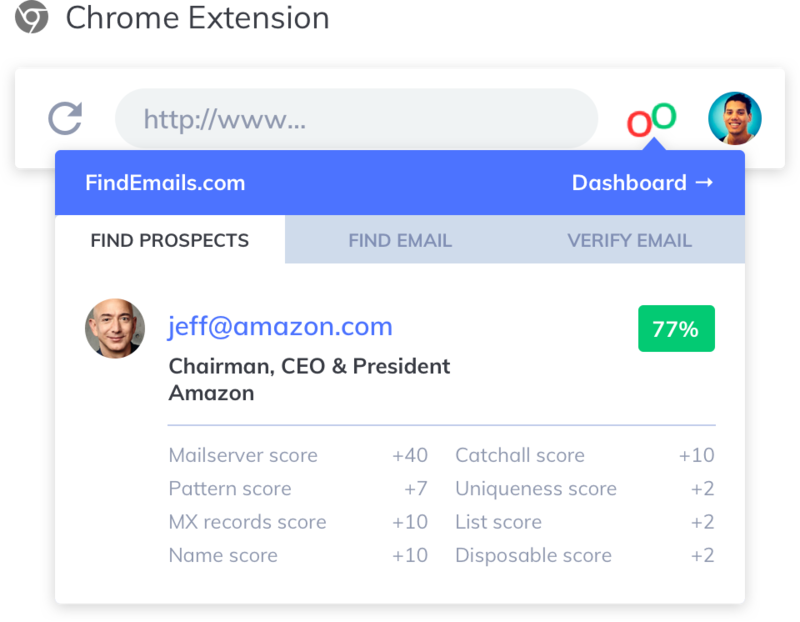 Source, find and verify emails while you browse the web with the FindEmails Chrome Extension.